The Watering Place: Come and be Filled with Encouragement for Homeschooling. Why, then, do we keep comparing homeschool to public school? This is like comparing life in the Promised Land to life back in Egypt. It’s a “sheep” thing to do—peer pressure on the adult level. The question we all struggle with is: Will the children learn more if they are in public or private school? 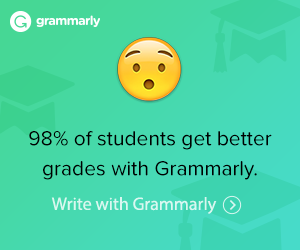 They might learn more academic facts. They might have some excellent teachers who encourage them to pursue greater things. They might learn to depend on peers instead of depending on God. They might learn things they don’t really need to know in their tender, formative years. There are a thousand different answers to that question. But it’s not the “right” question. 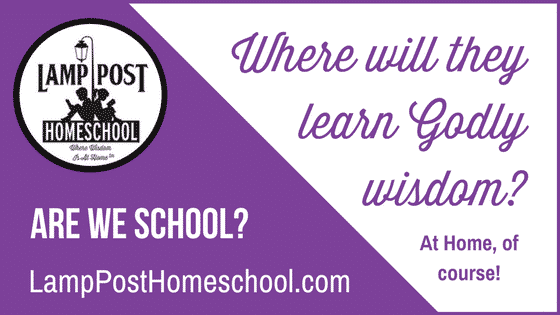 The Right Question Is…Where will they learn Godly wisdom? If “foolishness is bound up in the heart of a child” Proverbs 22:15 KJV and “a companion of fools shall be destroyed” Proverbs 13:20, then it is logical to assume that twenty or thirty children in a classroom is a group of fools and that it isn’t wise to send your child to be their companion. They might learn to despise wisdom and instruction—they might be destroyed. Why do we berate ourselves by comparing our homeschool to “real school?” Stop Comparing! At this point in the homeschooling movement, we have “fruit.” There are numerous college graduates and members of the workforce who graduated from homeschools all over America. Look on the web or read the Wall Street Journal (February 11, 2000, page 1). Please note that many colleges are seeking homeschool graduates. God is making His words known to His children. Our methods are not the same as the schools. We seek Him first by teaching our children about the Bible, by protecting them from being corrupted by the system, by instilling Godly character in them, by loving and nurturing them as only their parents can, and by praying with and for them. We want to teach them to love God and to love others. I see homeschoolers who are able to converse with any person of any age, not just a person who is in the same grade. I see children who love the Lord and take His joy wherever they go ~ they are genuinely happy. I see compassionate young men and women who are not afraid to take the lead or to serve. And I see a generation with a heart for Jesus and for the lost and dying. Mountain days when you can’t teach fast enough and valley days when nothing is accomplished “academically” but much is accomplished in building character, both theirs and ours. Family Bible study, worship, praise and hymn singing, and prayer time. Do you recognize your homeschool life in this illustration? I think you are on the right path! Praise God that He is showing you a better way. Don’t go back to Egypt! Do you think you have a way to go yet? Don’t be discouraged. Homeschooling is a way, a path. Every path has its ups and downs. The key is to stay in the race and keep your eyes on the finish line! Please drop us a line to let us know how it was used. We appreciate your feedback.